Lean Office – Resolv Inc. If you have a CRM system, and are looking to maximize your office processes for effectiveness and efficiency, then Lean Office is for you. 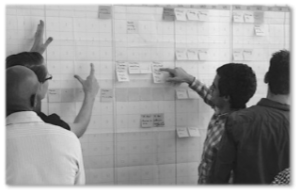 Each of our customers is at a different point in their Lean office strategy. Let us guide you through your Lean journey. Contact us at 920-730-1300 to discuss the next step in your Lean roadmap.